The theoretical part of the Crew Leader courses took place on May 19-20 for the summer season 2018. Students from the Republican multilevel college, the Baikal Subsoil Use College, as well as other participants interested in the qualification of the GBT Buryatia Crew Leaders took part in the course. The program of the courses discussed topics related to domestic and international experience in the construction of trails, volunteerism, leadership, and also discussed the topics of organizing a field camp, safety technology, the construction of trails and tools, the history of the creation of the GBT. During the active discussions, the participants not only shared their rich experience but also learned a lot of useful information in the construction of the trails. The practical part of the courses will be held on May 26-27 in the ethnographic complex Steppe Nomad, Atsagat, where the participants will apply the knowledge gained in the practice of building serpentine. 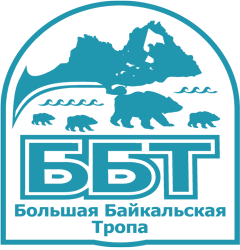 Upon completion of the foreman’s course, all participants will receive certificates from the Great Baikal Trail – Buryatia. We express our gratitude to all participants, organizers, photographers and the Baikal Subsoil Use College for providing the audience for the courses.